The Cripple Creek & Victor operation in Colorado is investing in a new valley leach facility (seen here) and a new plant. Many mining companies built volume during the epic super cycle only to find themselves saddled with debt and excess capacity when the bubble burst. It was the classic boom-bust cycle that has haunted this industry for generations. The gold sector was no different. It too fell prey to one of the greatest bull runs for any precious metal. Similar to most of the miners in the gold space, Newmont Mining Corp. was reviewing its portfolio as the gold price began to plummet in late 2012. How they managed through that period is what sets them apart from other gold producers today. Making some difficult decisions, they created a solid foundation from which they began to build. Since mid-2013, the company sold several assets totaling nearly $1.9 billion. This move allowed them to pay down debt and invest in new, profitable production. At the same time, Newmont was optimizing operations by looking at each asset’s full potential and improving operating costs and efficiency. They were in effect learning to live within their means again, which meant being able to operate profitably with gold prices in the $1,000-$1,100/ounce range. Newmont cut capital and exploration budgets, yet they were still delivering new projects and adding reserves. During this period, it should be noted that the company never flinched on its commitment to safety or sustainability. As of mid-2016, Newmont has lowered net debt by 49% since 2013, reduced its all-in sustaining costs (AISC) by 28% since 2012, and delivered positive free cash flow for eight of the last nine quarters. An opportunity presented itself in 2015 and the company purchased the historic Cripple Creek & Victor (CC&V) mine in Colorado from AngloGold Ashanti. Today, Newmont is advancing five development projects, which are expected to generate an additional 1 million ounces per year (oz/y) of gold production at AISC of $700/oz over the next two years. On top of that, the company added 13.4 million oz of gold reserves by the drill bit in the last three years. 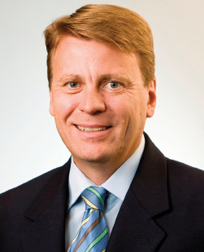 Just before the downturn, Newmont brought Gary Goldberg on as COO in 2011. A mining executive with an engineering background, he had spent 35 years working in many different roles with Rio Tinto and Kennecott. Knowing the company needed a change, Newmont’s board promoted Goldberg to CEO, and working together they began to chart a new strategy. This wasn’t the first time in his career that he had seen the market soften, but he needed to answer that burning question: What are we going to do? The strategy the company devised was fairly simple, Goldberg explained. “First we would improve the underlying business,” Goldberg said. “Then we would shape the portfolio properly so that we could deliver value to shareholders. With that, we had to make sure we had the right capabilities within the business. One area where we have strengthened the business is in our technical competence.” Newmont had a good base, but with gold being so variable, understanding the ore bodies and the risks associated with them was critical. The current leadership team is a mix of Newmont executives and other executives with whom Goldberg has worked in the past. When Goldberg was appointed COO, he split the Batu Hijau operation in Indonesia out as a fifth division. They brought mining veteran Tom Palmer on board and for a year he had Batu Hijau directly and, when it was merged back into Newmont’s Australian-Pacific division, Palmer became a senior vice president for the region. Palmer was named executive vice president and COO earlier this year when Chris Robison announced his plans to retire after a 36-year career. Prior to joining Newmont, Robison was the COO at Rio Tinto Minerals under Goldberg. He and Goldberg’s relationship extended all the way back to their early days at Bingham Canyon in Utah in the 1980s. While the operations strategy was being revised, Goldberg also challenged his exploration team’s views on orebodies, asking them to look for additional mineralization near existing operations. 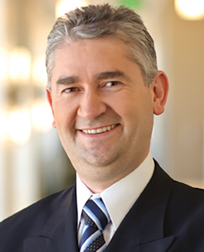 Grigore Simon, the senior vice president for exploration, leads Newmont’s global exploration program. With a similar objective, he and his team are focused on delivering the best margin ounces rather than just adding any ounces. 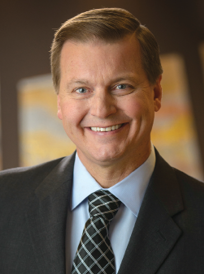 Over the last few years, the Newmont leadership team has made a lot of changes. “We no longer have a huge growth focus,” Goldberg said. “We have a fit-for-purpose organization that produced as much gold last year as it did three years ago with 27% fewer people, while dramatically improving the company’s safety performance.” He attributes the company’s success to building leaders rather than training managers. Gary Goldberg, president and CEO, Newmont. Convincing people they should take the time to do things the right way, that’s the key driver, Goldberg explained. “Little shortcuts here and there might lead to a short-term gain, but they also introduce risk and erode a core value over time,” he said. Goldberg was involved with a group of mining CEOs who launched the National Mining Association’s CORESafety Program and he said he is still impressed with the program. “When you look at the stats of the companies that decided to use those tools, their safety records have shown noticeable improvement,” he added. The company is currently focusing on three key areas: fatality risk management; the rigor and discipline to investigate and apply lessons learned; and visible leadership. “Ideally, a great fatality risk management program adopts and applies best practices globally and shares it with others in the industry,” Palmer said. “To build that program, everyone from the frontline manager to the miners has to own it.” A key part of a well-designed fatality risk management program is understanding the critical controls that need to be in place to prevent a fatal injury from occurring, Palmer explained. In addition to safety, what attracted Goldberg to Newmont was its reputation as far as operational performance. After joining the company, toward the end of 2011, gold reached its modern day peak in nominal terms. “Yes, and then it started to go the other way, which is not inconsistent with what I have seen working with a number of other commodities,” Goldberg said with a chuckle. His career includes stints with copper, gold (with another company), coal and industrial minerals. This time was a little different though: the gold industry had gone 12 years without a downturn. “We had half a generation who had not seen a downturn,” Goldberg said. “To help the business, we needed to put a process in place to make sustainable improvements in costs and efficiency. Anyone can cut costs to get by in the short term, but that does not improve the underlying business. Goldberg had a year as COO to see the operations and determine what was working. He had a chance to put a few plans in place in terms of the rigor as to how capital decisions were made. “That was a big factor as far as taking the lessons we have learned from the past—what has worked well and what hasn’t—and applying that experience to investment decisions so that we continue to improve our decision-making ability,” he said. The results materialized with eight recent projects that have been completed or are in the process of being completed on time or sooner and at or under budget. “That doesn’t happen much in the mining business these days,” Goldberg said. As an example, Newmont’s Merian project in Suriname, which will be commissioned later this year, is so far $100 million below budget and it will be a little ahead as far as timing, Goldberg explained. 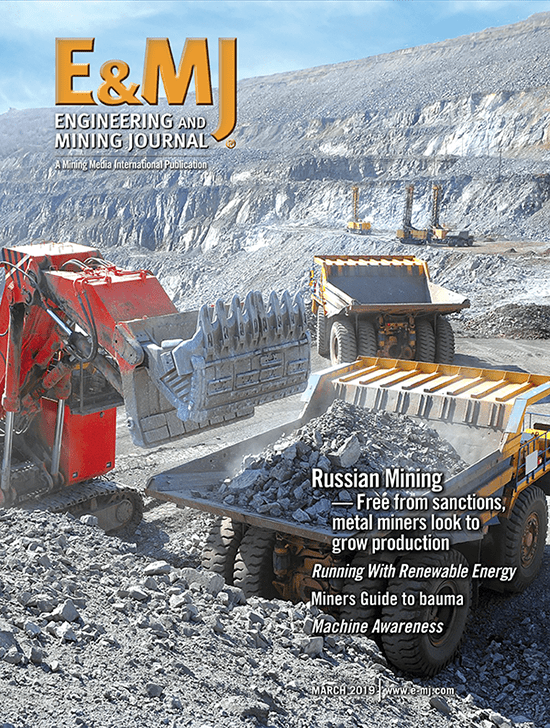 “Less competition for construction talent and less competition for mining and mineral processing equipment opened opportunities to be more cost effective,” Goldberg explained. Another example of the improvement efforts was a focus on ore body risk. There was a degree of conservatism included in those plans as far as gold prices, Goldberg explained. “We built cost escalation into the programs and they had to make adjustments,” Goldberg said. As far as results, Newmont has posted a 28% reduction in AISC over the last three years. Shortly after Goldberg was named CEO, Newmont sold the Midas operation for $83 million. Then in 2014, after an odd dance with Barrick Gold, it sold Jundee for $91 million and its stake in Penmont for $477 million. Cash flow began to improve in 2014 and in 2015, they announced plans to build Long Canyon Phase I in Nevada and expand production at Tanami in Australia, and completed the acquisition of CC&V. In 2015, the company sold the Waihi operation in New Zealand for $101 million before announcing it plans to sell Batu Hijau for $920 million in June. The second decline at Tanami in Australia’s Northern Territory was recently completed. Once those parameters have been identified, leadership decides what it would take to move these projects in a direction that would be more desirable, e.g., lower risk and higher value. Offering the Tanami operation in Australia as an example, Goldberg explained that Newmont had a mine producing gold at $1,600/oz in 2013. With no research, one could easily conclude that this would be a property the company would want to unload. “And, we were considering that,” Goldberg said. “However, we made some changes to the leadership and changes to how they were executing the mining plan. They were not keeping up with the backfill that was needed. If you get too far behind, you’re mining where you shouldn’t be. They were also behind on development work. So, we pressed the reset button.” Today, Tanami produces gold at an AISC of $800/oz and Newmont has one of its better incremental projects. 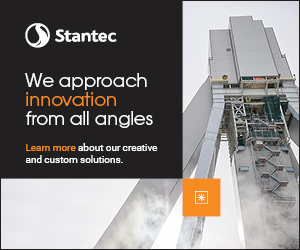 A second decline and plant expansion were approved earlier this year to increase profitable production and mine life at Tanami. Then the opportunity with CC&V presented itself. “We participated in a process and looked it over,” Goldberg said. “It’s in an area that we understand, working in the U.S. We thought we could bring additional value to the operation. Anglo needed to sell because they needed the cash and it worked out in terms of timing. A year earlier, we probably would not have been able to acquire the property because we simply didn’t have the cash position.” Newmont targeted 10% improvement in mining costs for CC&V and is on track to realize this target and to deliver even more improvement in 2017. Newmont has five new projects in the pipeline, which will add 1 million oz of gold production in the next two years. These include Long Canyon Phase I in Nevada, the new Merian mine in Suriname, a second decline and plant expansion at Tanami, a new mill, leach pad and recovery plant at CC&V in Colorado, and an underground expansion called Northwest Exodus in Nevada. These five projects met the rigorous conditions that had been set as far as improving value for the company. The plan for Long Canyon was modified during the evaluation process. Initially, it was a $500 million project that included a mill and some new equipment, yet it only had a six- or seven-year mine life, Goldberg explained. “We challenged the team, saying that we only wanted to invest in what was needed for Phase I,” he said. “So we removed the mill and went with used equipment. The project cost is now estimated to be between $250 and $300 million. That’s a substantial reduction in upfront capital, which allowed the project to clear economic hurdles in a low price environment.” With gold selling in the $1,200/oz range, Long Canyon Phase I has a rate of return in the high teens. Rather than bringing in the typical EPCM contractor, Newmont opted to work with G Mining Services, which is owned by Louis Gignac, an ex-Cambior miner that has built other facilities of this size elsewhere in the world including Suriname. “They have really good experience building projects and I have been working with Louis for a long time,” Goldberg said. “He and his team, which includes his sons, do great work. So far, we have saved $100 million, part of that is due to G Mining and part of it was the less-competitive environment.” The Merian mine will produce, on average, 450,000 to 500,000 oz/y at AISC of between $650/oz and $700/oz in the first five years of production, and will achieve commercial production in the fourth quarter of 2016. Northwest Exodus is an extension of the current operations in the Exodus mine, down dip further to the northwest. “We just approved this project, which is estimated at $50 to $75 million to finish the development work around the deposit,” Goldberg said. “One of the things the people in Nevada do really well, especially the people at Newmont, is declines off the open pit into an underground mining operation. We will have to install a raise and some ventilation equipment and that will be completed mid-2017. We will be in full production by 2018.” This is a natural extension of an existing orebody, which speaks volumes about exploration as a core competency. 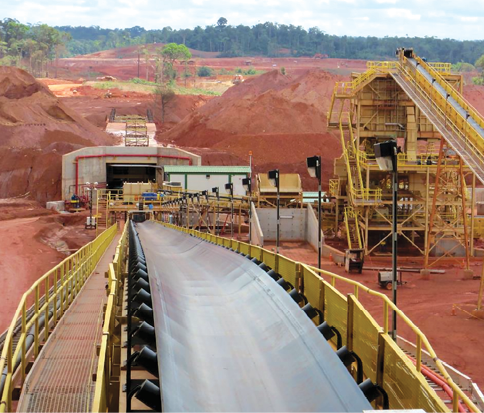 Newmont’s Merian project in Suriname will be commissioned later this year. The project is on track to be completed under budget and ahead of schedule. Palmer’s career has taken him through a bunch of different commodities. Although gold holds a distinct standing in the mining business, Palmer explained, the operational principles applied to mining are universal. These include: effective leadership, strong technical fundamentals and a culture of continuous improvement. “There is a significant amount of overlap between all three areas,” Palmer said. Can the team deliver on the project it is undertaking? “If a team can keep that question at the forefront of their minds during those investment decisions, then they condition themselves to deliver on schedule and on budget,” Palmer said. Walking through the current projects, Palmer describes a fit-for-purpose approach. With Merian, Newmont partnered with a contractor who had experience in that region and with the government. “With Long Canyon, we are taking a phased approach in terms of living within our means,” Palmer said. “We decided to go with heap leach vs. a mill and refurbished equipment vs. new. We are also leveraging existing staff and infrastructure in Nevada. In contrast, using the same metrics for the Ahafo operation in Ghana, Newmont decided to delay a major mill expansion. 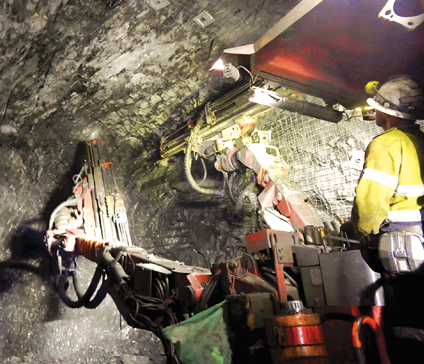 “Instead, we will take advantage of an expansion of the Subika underground mine,” Palmer said. These are just a few examples of Newmont’s fit-for-purpose approach and living within its means, Palmer explained, which leads to executing on schedule and on budget. The program sets clear targets and provides support for operations to assess improvement opportunities while being clear about the accountability. The responsibility for identifying and delivering those improvements lies with the teams. This program continues to deliver value and the operations are setting new targets and reporting how they will achieve them. Another area Palmer considers important are the global metrics or having a common definition of how productivity is measured company-wide. Whether it is truck fleets, mills, excavators, etc., management teams around the globe need to be able to compare operations and share the results when they see something working well. “It’s O.K. to copy success within an organization,” Palmer said. Tom Palmer, executive vice president and COO, Newmont. Grigore Simon, senior vice president of exploration, Newmont. The “catch,” Simon explained, is that exploring near existing mines is a short-term fix. “To sustain current gold production levels as an industry for the long-term, significant new greenfield discoveries need to be made, preferably in new geological domains,” he said. With the Long Canyon project in Nevada (above), Newmont is taking a phased approach with heap leach vs. a mill and refurbished equipment. 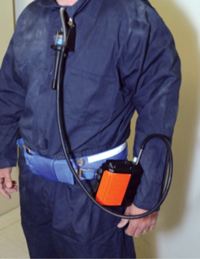 The technology used for exploration is where Newmont has a tactical advantage. The company has a long track record of technological innovation that started with ground-based Induced Polarization (IP) and ground and airborne Electromagnetic (EM) geophysical methods starting in the 1940s through the 1980s. They also developed a number of geochemical methods through the acquisition of Normandy, the most well-known of which is the bulk leach extracted gold (BLEG) process. “More recently, through our R&D efforts, we are maintaining a leading edge in electrical methods with the development of the, proprietary airborne NEWTEM system, which stands for Newmont’s time domain electromagnetic platform, and the ground-based IP distributed acquisition system, NEWDAS, which is a 3-D distributed acquisition platform similar to the 3-D seismic systems used in the oil industry that has a depth of investigation of 800 meters,” Simon said. “We have also developed a new proprietary method, deep-sensing geochemistry (DSG), which uses geochemical methods on the surface to investigate to a depth of more than 500 meters through many types of cover. Turning his attention to the longer term, Simon said new greenfield discoveries will be needed to support the industry. “The number of new discoveries has been falling during the last 10 years despite the significant investment in exploration. This trend suggests that all of the easy finds may have been made,” he said. “The next generation of discoveries will come from either deep cover exploration and/or higher risk jurisdictions.” That is why Newmont has focused on the deep-cover technologies. Simon said he expects to see the industry spend more on exploration in the future, but it will be a while before it reaches 2012’s $6 billion level again. The Merian mine will produce 450,000 oz/y to 500,000 oz/y and it will achieve commercial production in the fourth quarter of 2016. The common denominator seems to be the people. One of Newmont’s internal surveys revealed that 89% of the employees understand how their work contributes to the company’s success. “The potential for our team, building on its success and pursuing innovative approaches to raise our performance to the next level—that’s what gets me excited,” Goldberg said. “This is a fun business. It’s great when the prices go up, but the reality is that we have to keep people focused on controlling what they can control. That has made a big difference.” The people at Newmont quickly repositioned the company and now they are seeing that effort pay dividends. Is Your Business Safe from Metal Accounting Risks?